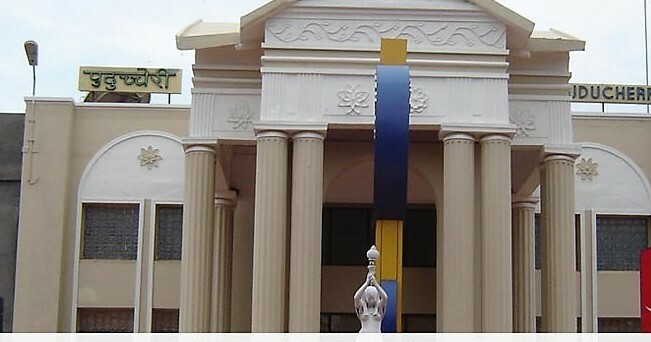 Puducherry: Medical Access Scam: Once again in UT , with the Medical Council of India (MCI) in Puducherry, three private self financing colleges are directing the medical colleges to discharge 161 MBBS students who were admitted to the colleges in the academic year of the year 2017-2018. Is of Graduate Medical Education (GME) Regulations, 1997 It comes close to the high heels of MCI, who had cancelled admission of 778 MBBS students admitted in seven private colleges last year (2016-2017). While 41 students are from Sri Manakula Vinayagar Medical College and Hospital (SMVMCH), 94 are from Sri Venkateswara Medical college Hospital and Research Centre (SVMCHRC)and 26 from Pondicherry Institute of Medical sciences (PIMS) , as per the communication from MCI. However, Puducherry Government had directed the colleges to comply with the discharge of only 105 students, with 41 in SMVMCH, 38 in SVMCRC and 26 in PIMS. The Government of Puducherry has also communicated these instructions to Registrar of Pondicherry University and the Registrar of Tamilnadu State Medical council for information and necessary action. The discharge action of MCI is due to the fact that the list of students presented by the colleges was not available in the list given to the MCI by the CNTAC. There were 96 vacancies in the last round of consultation, for whom the government called 960 students in the ratio of 1:10. However, Dr. K. V. Raman, Director of the College’s Health Institute has left the list of 960 students and recruitment students of medical education. In relation to the remaining 56 (55 Government quota and under a management quota) at Sri Venkateswara Medical College Hospital and Research Center, the Puducherry Government realized that these students who were ordinarily sponsored by CNTAC were discharged by MCI Was erroneously recommended for The Puducherry Government raised the issue with the MCI to withdraw the action in relation to these 56 CNTAC sponsored students and the college has been advised not to contest these candidates till further orders or communication from MCI. The Health Department has appealed to these 56 students and their parents and guardians not to panic and have not even premed rumours spread in this regard.